Portland, Oregon is a strange little part of the world where they’re known to shut down essential transportation bridges in the broad daylight so the local community can have a picnic on it, and roving gangs of anarchists anonymously fix the city’s potholes for free. Portlandia isn’t just dramatization, and it doesn’t tell the half of it if you’ve ever experienced it personally. Locals in Portland give affectionate girls names to speed bumps, and protest the minimum wage by planting trees. And as you can imagine in a town like that, art and music are fostered greatly and allowed to thrive in this semi-utopia expanse, if of course you can afford to live there since it’s gentrification and cost-of-living issues don’t just rival those of east Nashville and east Austin, they Trump them resoundingly and precede them in age by a decade. Within this island of misfit toys are quite a few interesting musical projects with national importance that rise above the average local avant-garde noise music and shoegaze nerdcore that some like to imbibe in purposely because it sounds bad—like health nuts who think the worse something tastes the better it must be for you. One such Portland-based artist is Sallie Ford who is no less hipsterific than your average Portlander—(she once incorporated her signature horn-rimmed glasses into a butterfly-like image for album art)—but she puts out music that is sensible enough to be enjoyed by people outside the I-205 loop, and appreciated by a wide swath of music listeners no matter their genre stripes. Once considered rockabilly by some since most of her music carries an old-school backbeat and 50’s styling, it’s probably more relevant now to call Sallie Ford just plain rock, yet with a decidedly strong bent towards vintage modes which allows it to slither right into the soundscape of all old souls looking for something more their speed than the present day noise. The music of Sallie Ford is endearingly silly, catchy yet smart, cleverly stupid in places, just kitschy enough without overdoing it, and cool in a dorky way. 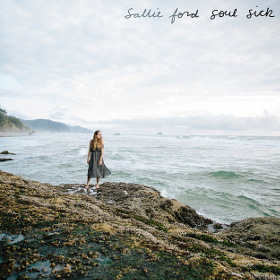 It’s fairly straightforward music with a throwback vibe, and Sallie’s unabashed, sometimes clumsy, yet curiously fetching vocal delivery takes a little warming up to, but ultimately becomes an asset. It’s like a high school band that is extremely good by accident, and you just love to root for because they remind you of your own awkward self. 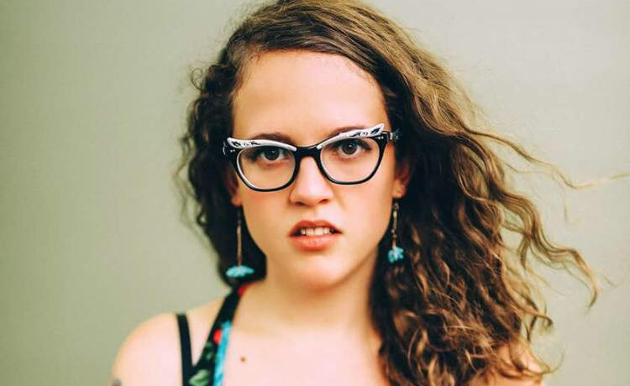 Sallie Ford writes songs to the little crazy thoughts that run though one’s head when you’ve been inside for too long, and for people who are smart enough to ponder their own stupidity. These are little anthems for introverts, middle children, anti heroes, and awkward misfits who love to compose ditties to themselves about how dumb they are, but dammit, tomorrow they will conquer the entire world, or at least venture out into it finally to buy some groceries because the milk is curdled. It’s fun music for the made fun of, but with just enough wisdom to rise above being called camp. Her latest album Soul Sick is immediately infectious, and is quite the hoot despite the somewhat depressing nature of songs like “Screw Up,” “Failure,” and “Unraveling”—the first being styled like 50’s Do-Wop, which makes a strange bed for the lyricism, but somehow works in that quirky Sallie Ford kind of way. Though much of the music is fairly straightforward, Sally will add in these occasional and extraneous moog blasts, or castanet flourishes that at times feel like the oafish efforts of the dorky kid trying to be cool, yet instead of getting in the way, give the perfect finishing touch to the mood Sallie Ford is looking for, but seems to still accomplish accidentally. It’s fair to say that some of Ford’s musical modes are more borrowed than original, which is something that artists who work in vintage textures will bump into occasionally. The opening drum line to “Screw Up” is pretty clearly inspired by The Ronettes’ “Be My Baby,” though it’s also fair to say that’s sort of the point since Sallie is looking to evoke feelings of nostalgia through her soundscapes, which means borrowing some here and there is almost essential. Sallie Ford and Soul Sick aren’t just the entertaining fluff some may gather at first take. The way she puts music to little daily emotional self doubts is not as easy as she makes it look. Giving voice to insecurities was never so fun, but the end result is no different than more dour art—which is a greater understanding of oneself, and a release of the tension through expressing one’s worries. Thanks for the review. I really enjoyed her work with The Sound Outside. Haven’t gotten the new CD yet, but likely will prior to her coming to Detroit in a couple of weeks. If you are going to talk Portland on a country music website, you really ought to write some reviews of Blitzen Trapper. If I had to nail them down style-wise, I would call them PNW alt-country or maybe country-rock. I could see some Gram Parsons pedigree in their sound but with a PNW sensibility. However you define them, they deserve a mention here. The video didn’t work, said it would been nice to hear this song. And I could not find it on Youtube either . Great writeup. Sally Ford is definitely a Portland darling. As a Portlander, I always get a kick out of perceptions of the city. Definitely some quirky things about Portland, but outside of a few central neighborhoods (where I actually live!) with the eccentric types, Portland and Oregon as whole are pretty blue collar / NW Redneck-ish. We do have a few good country bars in the city, and it seems like the cool kid hipsters are listening to more country all the time. Trig is right about the cost of living……which is especially crazy given our crappy weather 9 months out of the year, increasing traffic, a homeless / tweaker problem that is getting worse by the day,etc. But, the californians and midwesterners keep coming! I have a work acquaintance who moved away from Portland because the homeless/drifters numbers were getting to a point where it started to make their family feel unsafe. Apparently the laws are favorable to that situation there? The issue is that Portland has long attracted drifter types because of our better than average services (shelters, needle exchanges, etc. ), easy to use public transportation, and lax enforcement of “camping” laws related to sleeping on sidewalks, etc. In the past 5 years or so, this has increased to include large scale tent cities in certain areas….and the city has largely taken a hands off approach. Additionally, the city is ripe for small property crime…..including bicycles and many charming old neighborhoods close to the city full of very passive people who leave their car doors unlocked at night, won’t pursue property thieves, etc. The opiate issues that many areas of the country are also experiencing have made all of this worse. Now, having said that, it isn’t a situation that is totally out of control where you fear for your safety walking down the street. I do see where someone could easily get fed up (especially if they have kids) and want to move away from the city due to these issues……especially when it is getting more and more expensive to live here. The first thing I thought when I opened this article was “she looks like she’s from Portland,” and I was not incorrect. Love Blitzen Trapper! Saw them in Sandpoint last summer – hoping for a return this year so I can take my daughter to her first concert. I always describe them to people who ask as being a slightly more rootsy Tom Petty. It’s my website and I will write about whatever I want. We’re all music fans first, and I’ve always covered artists who rub elbows with the roots world like Sallie Ford. As long as they’re not calling something country that isn’t, I don’t see the harm in listening to other roots artists, and expanding listener’s horizons. Never said any different. You also allow posters opinions. I gave mine.